You are at:Home»iPhone»Photos»My iPhone Pictures Move! Live Photos, Explained. 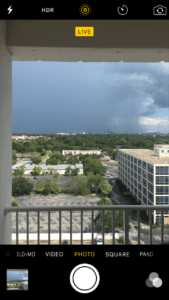 Have you ever been looking at an iPhone photo when suddenly it…moves? Your eyes aren’t playing tricks on you, and you haven’t stumbled upon a picture from the wizarding world of Harry Potter. iPhone pictures that move are real, and kind of amazing! “But how?” you may wonder. How is it that my iPhone pictures move? This happens thanks to a feature called Live Photos. Read on to find out how to take and view iPhone pictures that move. I’ll tell you if your iPhone supports Live Photos and how you can view Live Photos in action. Are Live Photos Really Videos? How Do I Take Moving Pictures (Live Photos) On My iPhone? Tap the icon on the top of the screen that looks like a target. The target will turn yellow, and a yellow label that says LIVE will appear at the top of the screen. Don’t turn on video or square — it won’t work. (You can always edit the photo later if you need it to be square!) Your Camera will take the photo. At the same time, it will save 1.5 seconds of video and audio from before you took the picture and 1.5 seconds of video and audio from after you took the picture. As soon as you click the Live Photos option, your camera starts recording video. Don’t worry though — your iPhone doesn’t save all of that video. It only keeps the 1.5 seconds before and after. Pro tip: Don’t leave Live Photos on all the time. Video files use a lot more memory space than pictures. If you only take Live Photos, you’ll probably run out of room on your iPhone quickly. 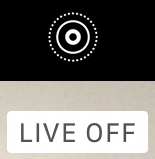 To turn off Live Photos, just tap the yellow target icon again. It should turn white. Now, any pictures you take will just be normal, non-moving photos. Can My iPhone Take Live Photos? Live Photos is a standard feature on the iPhone 6S and all iPhones that have come out since. If you have an iPhone 6 or older, you can’t take a Live Photo. You won’t even see an option to turn Live Photos on in the Camera app. But you can still receive and view Live Photos on older iPhones. Live Photos don’t look any different in your Photo Stream. To view Live Photos, tap on the still picture in the Photo Stream to open it. If you have an iPhone 6S or newer, make a long tap with your finger on the screen. Hold longer than you would normally touch to select something. Live Photos will automatically play the video and audio your Camera app saved. If you have an iPhone 6 or older or an iPad, you can still view Live Photos. Just use your finger to press and hold on top of the Live Photo to view it. When you take your finger away, the playback will stop. Now You Know Why Your iPhone Pictures Move! 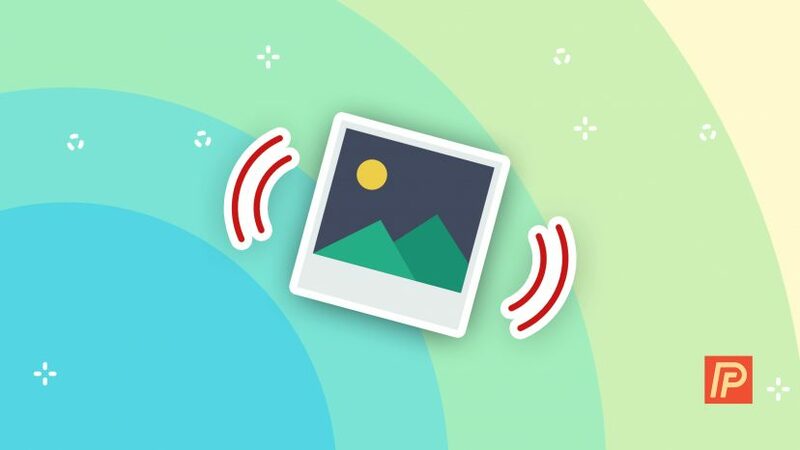 You can turn on and use this feature to capture those fun moments before and after a still image. So get snapping! Then share your iPhone photos that move on Facebook, Tumblr, and Instagram. Check out the rest of the Payette Forward site for more tips about using fun iPhone features like Live Photos. Previous ArticleMy iPhone Microphone Is Not Working! Here’s The Fix. Next Article Should I Purchase Insurance For My iPhone? Your Options Explained.